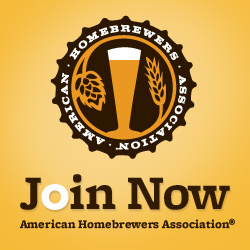 What is a BJCP-sanctioned homebrew competition and why should I enter my beer? DCHB decided to have this year’s Cherry Blossom Competition sanctioned by the BJCP for a few reasons, all to ensure that we make this year’s competition, and those in the future, the best ever. The Beer Judge Certification Program (BJCP) certifies and ranks beer judges through an examination and monitoring process. By judging in sanctioned homebrew competitions, folks who earn the BJCP credential earn points that contribute to their rank. So, by registering this year’s CBC with the BJCP, we’re able to attract qualified beer judges to evaluate and score the entries. This makes the process fairer, especially since we have some pretty sweet prizes at stake. Speaking of prizes, by making this competition BJCP-sanctioned, we’ve been able to attract better prize donors than in the past. And by the way, you can’t win if you don’t enter! We’ll also be using the BJCP Style Guidelines to classify entries and organize prize categories. This gives the competition a well-defined structure and ensures that the beers are judged objectively against the guidelines, not somebody’s personal preferences. Check out the guidelines before entering your beer to make sure you are selecting the most appropriate category. If you’re not sure, have a friend try your homebrew and help you classify it. Finally, and most importantly, you’ll receive detailed feedback from judges explaining why they scored your beer the way they did. Your scoresheets will include a breakdown of the point allocation and total score assigned to your beer, the judges’ descriptions of your beer’s aroma, appearance, flavor, and mouthfeel, and suggestions for correcting any flaws they may have perceived. That’s feedback you can use to brew better beer. The CBC is limited to 240 entries, so get brewing! We want DC Homebrewers to OWN this competition. 2 Responses to What is a BJCP-sanctioned homebrew competition and why should I enter my beer? The beer itself was handcrafted using private equipment, but one of the ingredients was a hard liquor that is available to the general public (and sold by the VA ABC). However, this ingredient (like all of the other ingredients, such as the malt extract and specialty grains) was obviously produced using commercial facilities. Would a fortified beer thus be a violation of the rules? I don’t want to cause a ruckus by entering a beer that shouldn’t qualify, so I just wanted to ask that up front. The BJCP does not limit which commercial flavorings, products, etc. that can go into your homebrewed beer as long as it is not beer. Or, for example, green wort created at a professional brewery. So your spirit will work just fine.